Dagens bilde er tatt i Kvam kommune (Hordaland) et stykke opp i åsen og med panorama utsikt til Hardangerfjorden langt der nede. Liene har ennå ikke blitt grønne, men på den annen side er bildet tatt i månedsskiftet Februar/Mars, og egentlig er det jo fortsatt full vinter i Norge? Men det er altså tegn på at våren ikke er så veldig langt unna . . .? 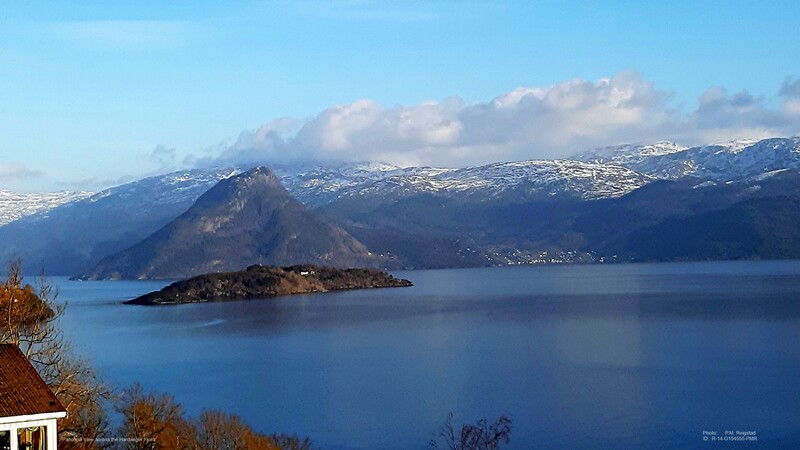 Todays picture has been shot in the municipality of ‘Kvam’ (Hordaland) and gives you a panoramic view from the ‘Hardanger Fjord’ far below. The hills have not yet become green, but on the other hand the picture was shot somewhere around February/March and – it’s still actually full winter here in Norway! There are however, indications that the spring might not be too far off . . .! This entry was posted in HORDALAND, Uncategorized and tagged bilder, foto, Hardanger, images, Kvam, nature, Norge, Norheimsund, Norvège, Norway, Norwegen. Noruega, panorama, photo, picture, SeeNorway. Bookmark the permalink. You ought to come along and see for yourself?! It’s really a strange year, yes! But reading the weatherforecasts is even more strange. After a week with temperatures around plus 3 – 10 degrees more or less over the entire country, the other day we awoke to a new weatherforecast prediting temperatures from 15 – 25 degrees below zero and one particular day we were told it would reach 278 degrees below zero!!! As it turned out there was one of the new associates at the weather office that had never heard about Kelvin degrees! 🙂 But yes, it’s spring – and anything may happen! Wow, wall hanging perfect shot! We had spring the other day – now it’s winter again. Go figure. 10 – 15 degrees plus! That has left its mark on the snow!